Sell Your Tacoma House Fast! Unload the heavy burdens to us. We’ll start to deal with your present situation. Don’t worry about relocation, foreclosure, damaged houses, bad occupants, death of a family member, vacancy, tax liens, behind payments, no offers, job loss, fire damage, immediate repairs and others. If you need to sell your house, you’re getting our fair all-cash offer. Rest assured, we’ll take the right move in order to close the property quickly. Call us up today to buy your house in Tacoma! Hiring a real estate agent is not the quick solution if you need to sell your house in Tacoma. Taking the traditional way of selling it through an agent is a big pain. In fact, an agent can even cause some problems or delays along the way. It’s obvious that you can’t escape from the common problems like upgrading the house, selling the house fast, signing the contract, producing papers, signing tons of documents from different parties, and others. Through A Real Estate Agent? The usual problem that occurs when selling the house with an agent is the likelihood of getting retail buyers. After tying up for a period of time, those buyers suddenly drop the deal without a reason. Such process is overwhelming, increasing your level of stress. Selling can last for more months and may not put you ahead of the game in the long run. Visit this page to learn about our process. 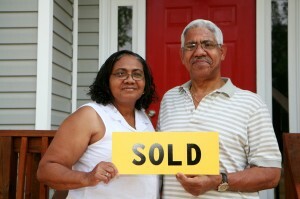 Elite Acquisitions, LLC will help you make a smart decision. We do quick selling to close your property the soonest possible time. With our all-cash offer, you get the check within the day after providing the required information of your property. We’ll handle all the necessary papers for you, do all the arrangements and close the property. You can get rid of the hassles and put every worry at your back. You will have the fast property sale without any burdens. Our staff member is available in the office to talk about your property over the phone. Afterwards, submit your basic property information and we’ll do the selling for you. That’s how easy the process is! Avoid the troubles of listing your house and waiting months before it gets sold. We buy houses in Tacoma, Washington and the neighboring areas, too. Accept our fair cash offer today; it’s a no-obligation, no-hassle offer!